Powerhouse plastic brickmaker Lego entered the holiday fray just in time for holiday shoppers. They’ve built their very own holiday ad. And it’s getting ample praise from across the advertising world. The newest video spot, “Let’s Build,” is an immaculately crafted story about a father and son bonding over their Lego creations. Anchored by a young boy’s voice over narration in full Oliver Twist mode, the ad shows a father and son engaged in a montage of joyous brick building, celebrating their triumphs as they create ever-more complex Lego structures. The spot was produced by Amsterdam ad agency We Are Pi, and directed by Joanna Bailey. Lego is a unique brand in that it’s now maintained relevance (and dominated market share) for several generations of children. The inherent creativity involved with Legos, as well as their numerous cross-branded products (they’ve tapped into everything from Batman to Spongebob Squarepants and Star Wars at this point) has made them an indestructible toy-making force that has successfully weathered challenges from a number of ambitious competitors. That said, it’s nice to see that Legos aren’t resting on their laurels. Its very nice post. also very helpful tips for us. Gotta love legos — all year long. Ah, memories of Legos. Red, yellow, blue…. Thanks for sharing this nice post…. So cool to see creative ads this time of year. Let’s wait and see how many Legos get bought. Very nice post . Much appreciated. Lego is a legendary brand. I bet kids will see the ads and add Legos to their wish list. I totally remember those colors. You are right , Lego is a legendary brand. Sounds Great. I watched their video on Youtube. Lego is ageless – toys for kids and adults. 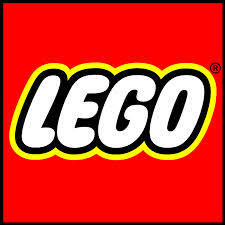 Good work Lego…Like others, I also find their new logo attractive. They have blended their brand colors well and have come with a good concept. Well done Howard Davidson Arlington MA for talking about them in your blog here.